You are probably very frustrated with the state of your impossible-to-move sliding door. We have both good and bad news. The bad news is your door will not magically improve. You cannot apply some oil or WD40 or anything else and all of a sudden it will be fixed. Have a look at some of our disaster door problems we see every day of the week. The reality is, your track is likely starting to disintegrate and your rollers are split or broken. The good news is we can fix your sliding door problem within a few hours. You do not need to buy a new door. 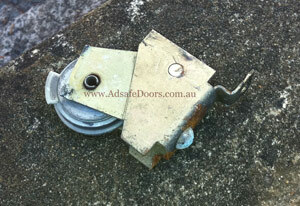 Instead, a sliding door repair with the team at Adsafe Doors is fast and economical. 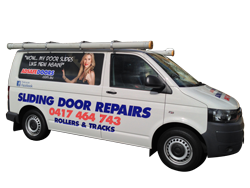 Adsafe Doors has been servicing the Rouse Hill area with sliding door repairs for over 20 years and have hundreds of satisfied customers from Kellyville Ridge to Schofields and all the way over to Beaumont Hills. When you give us a call, we’ll can ask you a few key questions that let us know exactly what needs to be done. We’ll give you a quote on the phone and often we can even book you in right there and then. Your sliding door issues may be one or several of the following. Do these sound familiar with your door? If you have any of the above, then give our team a call today. We specialise in fixing these doors day after day. Our history in the Rouse Hill Area is extensive and we have been operating in the area since 1992 and all our work is quality guaranteed. We only use premium products and promise that once we have finished working on your door, you will be able to open and close it with one finger. We turn up on time. We are respectful of your time.